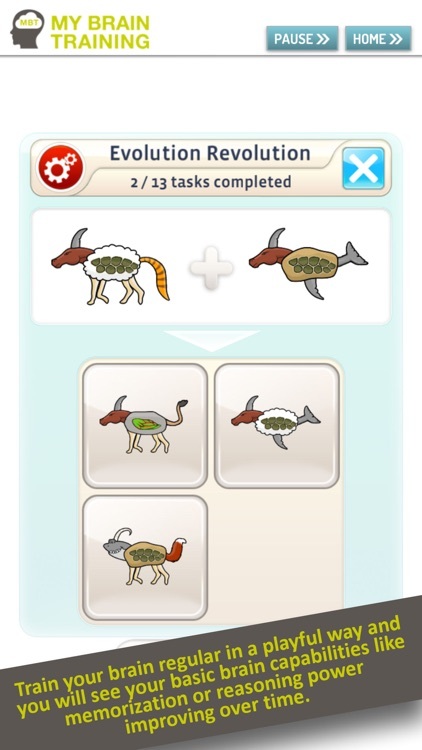 Train your brain regular in a playful way and you will see your basic brain capabilities like memorization or reasoning power improving over time! 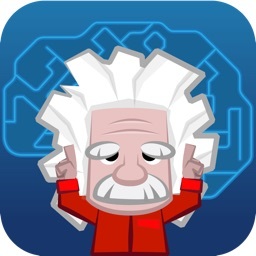 Train your brain and keep it sharp mentally with 30 scientific proven brain exercises! Exactly like maintaining your physical strength by exercising, your brain will also stay younger and sharper when trained regularly! Your brain is one-of-a-kind. Therefore MyBrainTraining is adapting continuously to your brain´s capabilities and to your personal goals. 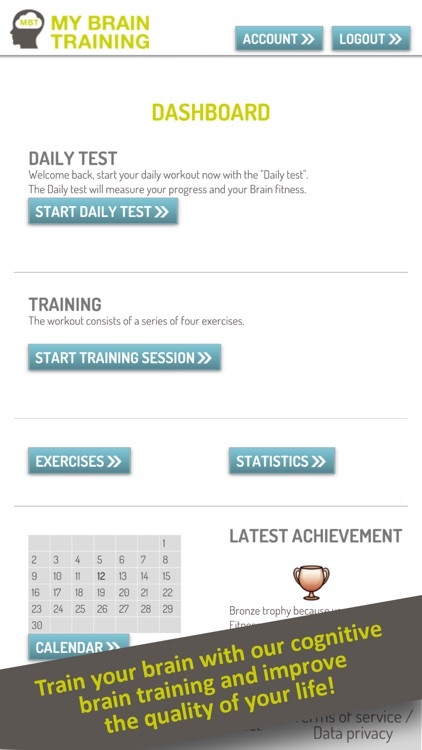 The "Daily Test" consists of exercises from each of four training categories (calculation, logic, memorization and vision) and allows you to measure your "Brain Fitness". Take the “Daily Test” regularly and you will see your “Brain Fitness” improve over time. 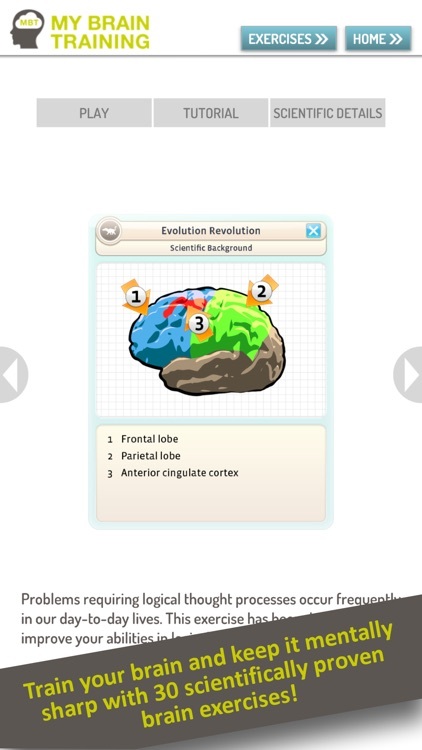 MyBrainTraining will – if played regularly – stimulate your brain and strengthen its basic capabilities, e.g. your memorization or reasoning power. With MyBrainTraining the future of brain jogging arrived. 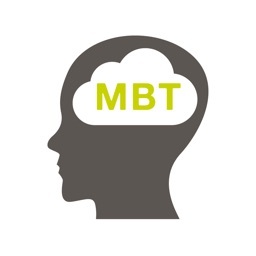 MyBrainTraining always challenges the people gently pushing them to their individual limits. As a result, their mental flexibility is, continuously and playfully, being taken to the next level, their ambitions are re-awakened and the motivation to exercise the grey matter every day is kept alive. This type of brain jogging is the basis for a good memorization and high performance mental activity. The MyBrainTraining-System is sensational: it is simple, modern, up-to-date, activating, sustained and above all, it is great fun. We use MyBrainTraining Professional at our clinic. We believe MyBrainTraining Professional is particularly well-suited for this purpose, as it addresses and trains a number of different functional domains, employing exercises which have been extensively validated. Because the training program showcases a modern and attractive design coupled with playful elements, it is well received by users. 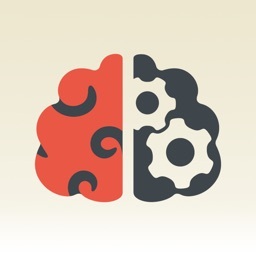 MyBrainTraining is pure joy. A variety of training modules insure you never being bored. Obviously, most important for me are all exercises in the category Calculation and those are excellent as well. I am really surprised that significant improvements can be achieved so easily, also in mental arithmetic. I wholeheartedly recommend this program to everyone. As a professional Volleyball player (former member of the USA Women's National team) I use MyBrainTraining to keep my brain fit, it helps train my brain to think and react quicker on the court. As an athlete it is very important to train my body as well as my brain. 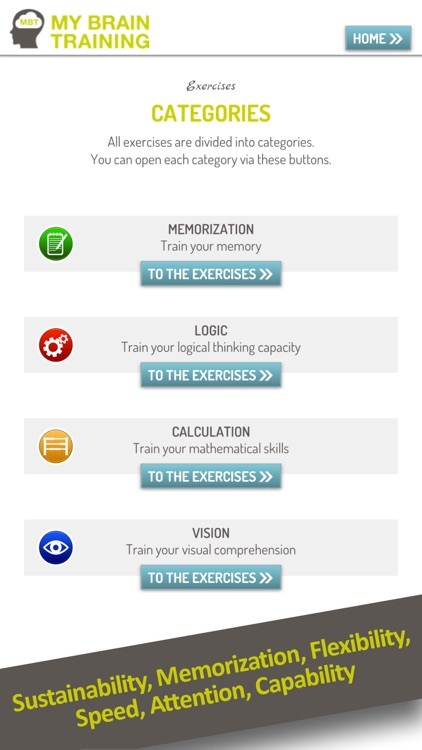 I could really recommend MyBrainTraining, as it has 30 very good and varied exercises to train the brain. 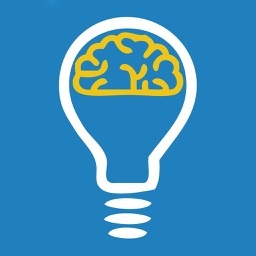 MyBrainTraining motivates me along with extensive statistics functions, to stimulate and improve my brain power consistently. 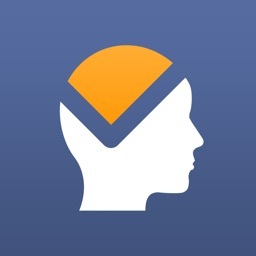 MyBrainTraining is a great brain trainer. 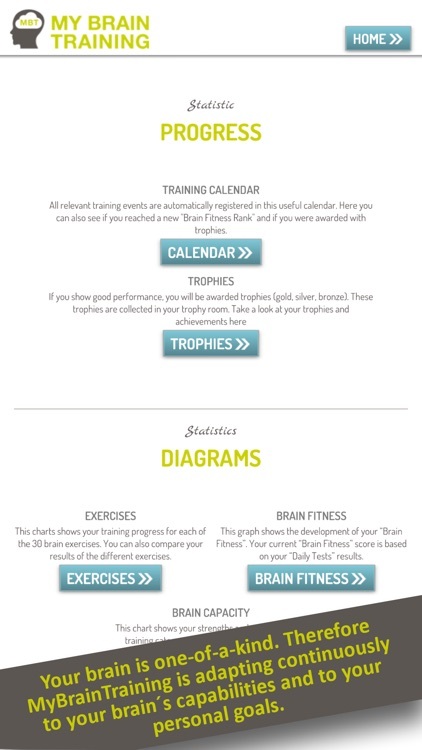 I really like the 30 different brain exercises and the detailed scientific background for each of these exercises. This is no subscription model. There is no automatic prolongation , thus no further cost or commitment for you!